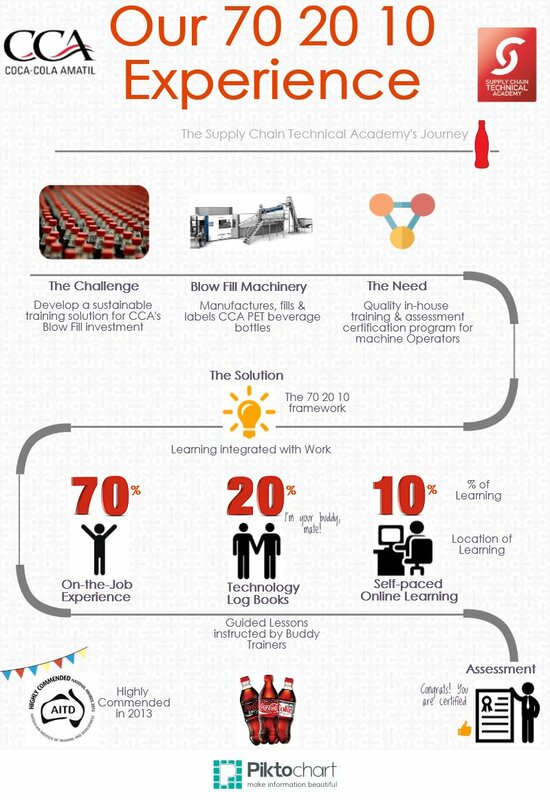 Below is an infographic illustrating our journey at Coca-Cola Amatil (CCA) in the development of the Blow Fill learning solution. 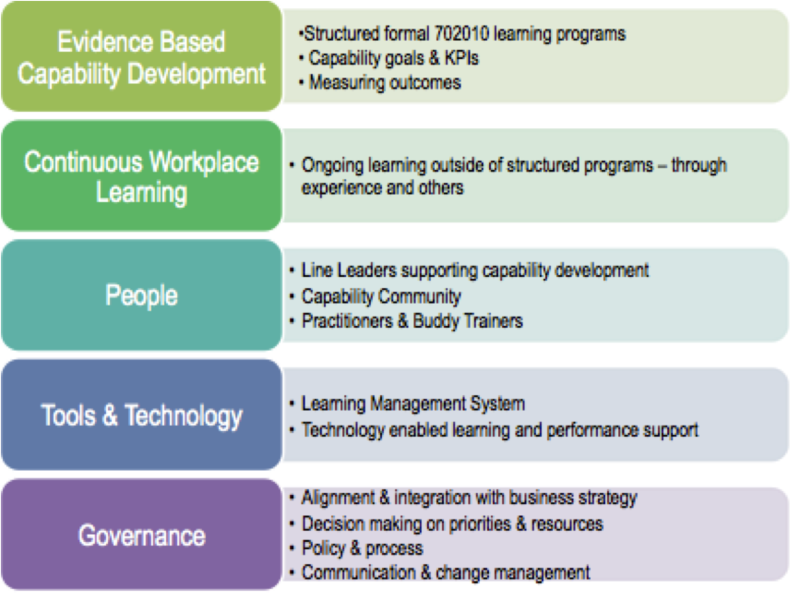 The program uses the 70:20:10 framework which allowed us to successfully integrate a formal training program with on-the-job work experience. 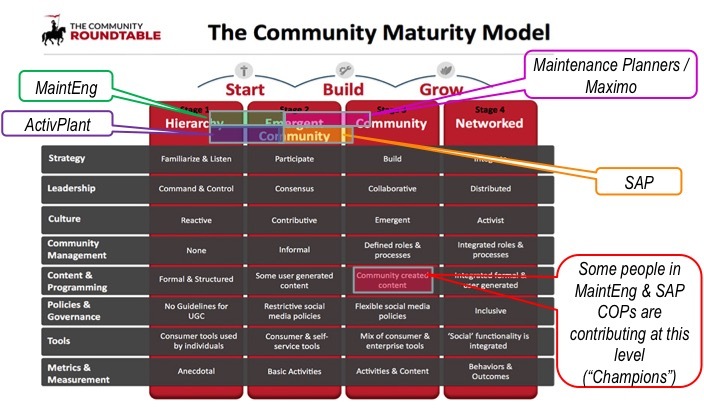 This info graphic was developed by Justine Jardine and Becky Peters.